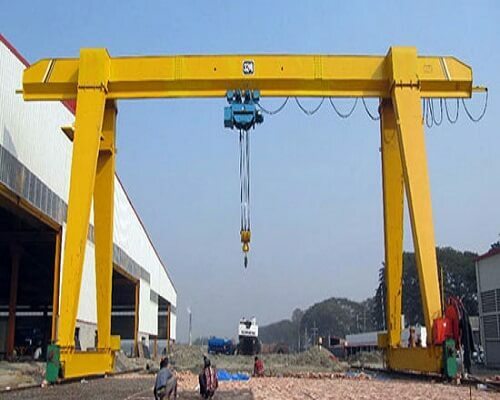 Ellsen gantry crane products are widely used in several kinds of industries. In Ellsen, we provide our customers with different types of gantry cranes, such as the single girder gantry cranes, double girder gantry cranes. Meanwhile, apart from delivering gantry cranes for general usage, we also have customized girder gantry cranes with hook for projects. Such kind of brand single girder gantry crane, we tailor it for our customers with specific needs in their industry. Ellsen single girder gantry cranes with two hooks can be combined into existing manufacture devices and indoor logistics processes. The heavy duty crane girder is part of the structure which, together with the legs at either end, formulas an itinerant bridge. The customized single girder gantry crane with hook for project rides on ground-level rails instead of elevated crane runways and power is supplied through a cable reel that is fitted to a leg. The customized single girder gantry crane with hook for the project are mainly operational for outdoor operation in packing yards and charging areas. This kind of girder gantry cranes in Ellsen have different capacities at our customers’ convenience. According to our customers’ needs, 3 tons to 20 tons single girder gantry cranes are available for our clients. However, if you have any other specific needs in its spans, loading capacities or other aspects, you can tell us, we can tailor it for you. What are the high lights of the customized single girder gantry crane with hook for the project? 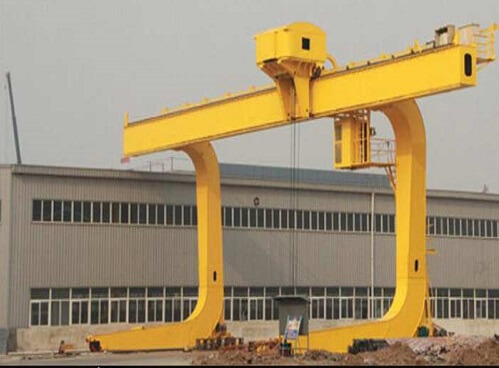 This kind of girder gantry crane, you may easily find its particular specifications when you gaze on its name. 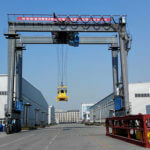 That is because we manufacture such kind of customized gantry crane, especially for project usage. According to customers’ project special features, most of them need the forged hooks to help them lift the heavy loading materials. 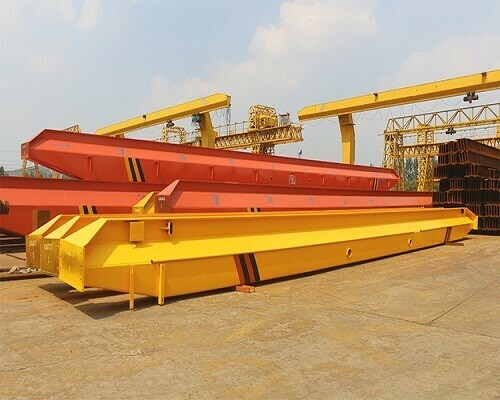 With the increase of the loading materials, when it amounts to a certain amount of tons, which has exceeds 10 tons, the girder gantry crane should be tailored for an additional hook. Why make such additional design? That is because, the heavier loading materials the cranes’ load, the lower working efficiency of the crane will have, and the more safety and higher performance of the gantry crane will need. The double hook crane in Ellsen, we provide for our customers, our customers can profit it more from it. On one hand, using such kind of the Ellsen hot sale forged hook crane, their working efficiency will increase to a large degree. On the other hand, the high-performance lifting will promote the working safety of the girder gantry crane. Are there any highlights of Ellsen forged hooks? 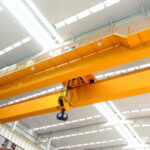 In view of our customers’ needs in their different kinds of cranes, both the overhead cranes and gantry cranes. In Ellsen, once our customers have such requirements, we can provide them with the relevant hooks. So, in Ellsen, there are a different kind of cranes equipped with Ellsen high performance forged cranes. For instance, we can provide our customers bridge cranes with two hooks, so if you have such needs to buy an overhead crane with two hooks, you can connect with our sales manager, and we can tailor it for you. What is the price for you to buy a customized single girder gantry crane? Since this is a kind of double girder gantry crane is customized for our expert teams, you may be worried about its price. In your mind, its price must be relatively high for such a crane, equipped with forged hooks. To a certain degree, it may be true, however, as a matter of fact, we have always been dedicated to the crane technological innovation to increase our crane performance and decrease our manufacturing costs, and with the cutting edge technology, we use special materials which have decreased our material costs. So, for our customers, it decreases their own costs to buy such a customized single girder gantry crane. 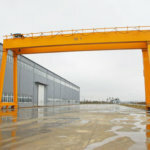 The customized single girder gantry crane in Ellsen we offer 5,000 $ to 30,000$. For specific hook crane options, you can get us in touch. 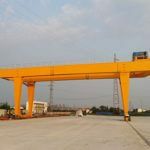 Additional parts Ellsen girder gantry crane can provide for you. Single-girder customized gantry cranes can comprise typical access ladder, maintenance footpath, and hoist trolley maintenance platform. Flammable, explosive and corrosive gas is forbidden in the work environment. The crane is forbidden to lift fuse and blend deleterious article and flammable explosive article.